The top five is dominated by value-driven retailers, reflecting consumers’ flight to value in the current climate. This is just one finding of High Street Rebooted, Retail Week’s major new report into what consumers really want out of their town centres at a time when many are sounding the high street’s death knell. Examining the attitudes of 2,000 consumers towards their town centres, High Street Rebooted, produced in association with Valitor, explores what is driving behavioural change and looks at how retailers can tap in to what consumers still love about their high streets – and what can be done to save them. To see which retailers are most wanted on the high street, along with other key findings, download High Street Rebooted today. The report reveals that, despite recent rhetoric, there is still a lot of love for the high street, with 87% of consumers stating that they would care if it disappeared. 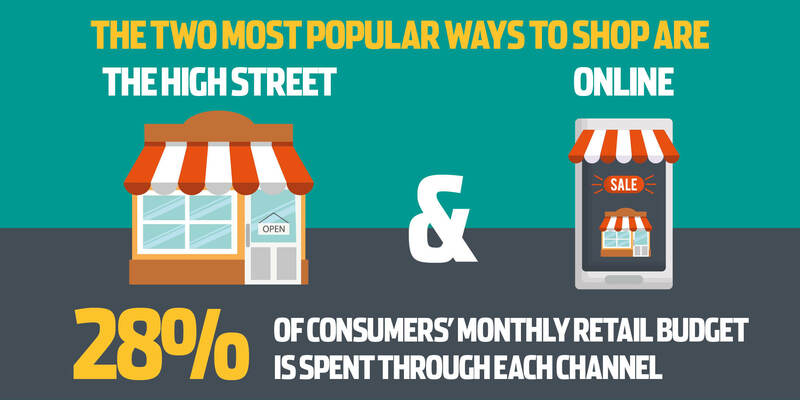 In fact, the high street is the most popular shopping channel in 2019, with 28% of consumers stating it as their preference – equal with online. Retail dominates spend on the high street, far outpacing restaurants and other leisure pursuits, giving retailers confidence that town centres still represent a huge opportunity for growth. However, consumers are pessimistic about the longevity of the current high street, with two-thirds worried it will not survive in its current form and 12% believing it will disappear completely within two years. This report explores what the future holds, which stakeholders need to drive change and, crucially, how technology can make a meaningful difference in creating memorable shopping experiences that will keep customers coming back. How retailers can converge physical retail with digital to future-proof their store estates. ValitorWe make payments easy for pan-European retailers, so they can focus on meeting customers' needs.